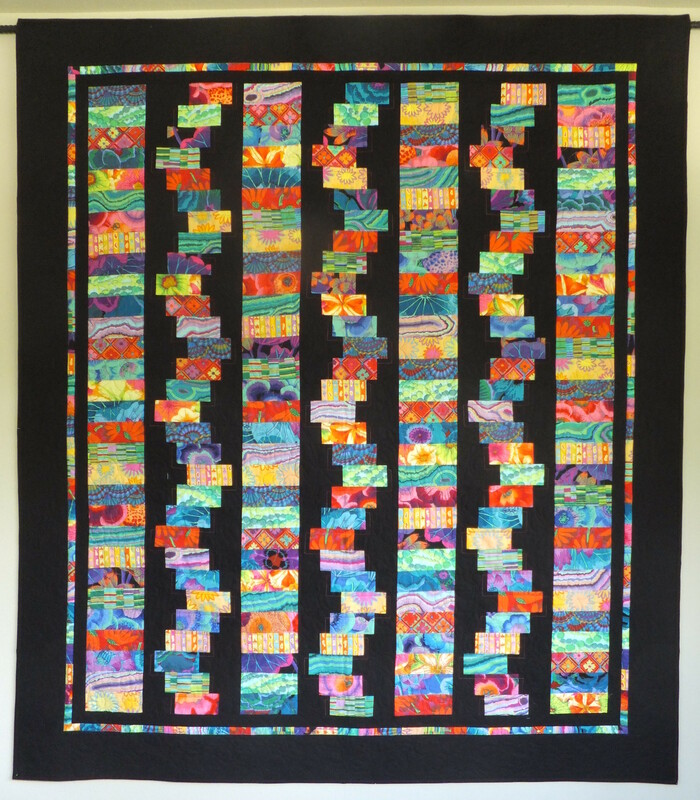 The second strip pieced quilt in this series, but made with only thirty 2 1/2″ strips. 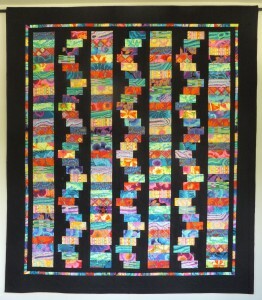 I used three 2 1/2″ strips from each of ten different Kaffe fabrics. Students have made this quilt with batiks and with veterans red, white and blue and they looked stunning.